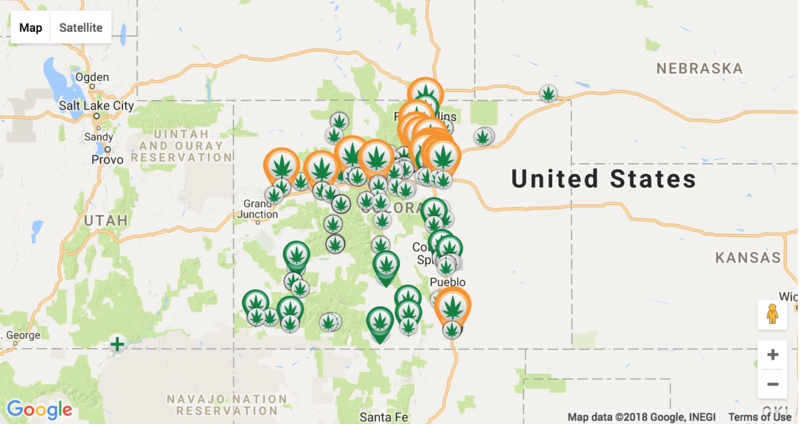 The Colorado Dispensary Map/Store Locator below is has been created using a list of retail license holders that have been approved by the Colorado Marijuana Enforcement Division. Please keep in mind that some of these kush stores may still in the process of opening up and that approval does not necessarily mean they are open. If the store has a phone number and hours of operation that is typically a good sign, but we still recommend calling before visiting any shop. We also recommend verifying the address as many stores are constantly changing/moving. If the store is listed below the map in the directory, and they have a banner, they are open and operational, but you may want to check their menu for an update on their current supply and prices!